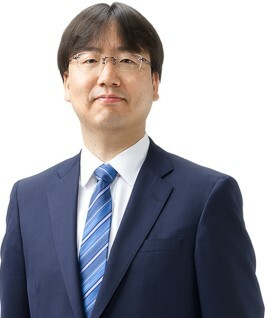 I, Shuntaro Furukawa, was elected Representative Director and President in June 2018. Nintendo’s fundamental strategy is to expand the number of people who have access to Nintendo IP. We want more people to have access to the characters and worlds from games created by Nintendo, and thereby raise the corporate value of our business. At the same time, as an entertainment company, we have a corporate social responsibility (CSR) policy of “Putting Smiles on the Faces of Everyone Nintendo Touches.” We believe spreading smiles among society through our products and services is a critical part of our social responsibility. Based on this CSR policy of Putting Smiles on the Faces of Everyone Nintendo Touches, we will continually challenge ourselves to create new surprises. 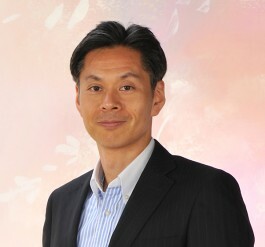 I, Koji Miyake, was appointed as Chairman and CEO of Nintendo of Europe in July 2018. I will be working with other members of the management team at Nintendo of Europe to fulfil our company goals. The cornerstone of our CSR policy is “Putting Smiles on the Faces of Everyone Nintendo Touches”. As an entertainment company, creating new and surprising experiences is one way of positively contributing to society. One thing that struck me after moving from Japan is the sheer diversity of experience that runs through Nintendo of Europe. The company has a truly multicultural staff of all ages, lifestyles and backgrounds, with almost 40 different nationalities all working together. I believe this kind of working collaboration is crucial to ensuring we reach our goal and put smiles on the faces of as many people as we can. We at Nintendo of Europe are fully committed to our corporate social responsibility, and will continue to pursue our policy of “Putting Smiles on the Faces of Everyone Nintendo Touches”. At Nintendo, we define our corporate social responsibility (CSR) as putting smiles on the faces of everyone Nintendo touches. As our business activities affect society in many ways, we decided that, starting in fiscal year 2015, we would place even greater emphasis on CSR, based on both internal and external expectations. Based on the PDCA (plan-do-check-act) cycle, we strive to be an organization that can periodically review its own involvement in projects, identify potential issues in advance and take necessary actions. Games can positively affect society as they offer the potential for new forms of communication. We hope that people will recognize this by using our products. Advancing CSR activities throughout the entire supply chain is a way to not only improve working conditions for those employed at our production sites, but to also produce high-quality products and, ultimately, lead to more consumer smiles. At Nintendo, we bring together employees with a wide range of characteristics and work together to make those we interact with smile. Providing our employees with a working environment that empowers them is among the sources of our competitive edge.